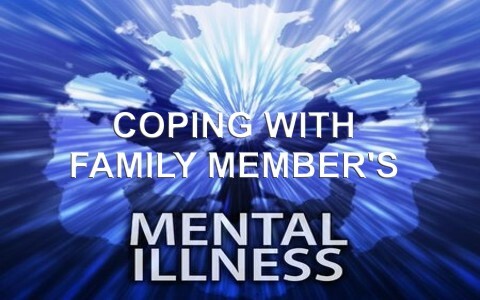 When we recognize that we are dealing with mental illness in a family member, our first reaction might be to panic. We want order restored to the home immediately and we are willing to do whatever it takes for that to happen. However, while we might be caught off guard and ill prepared for this journey, the Lord knew it was coming from the beginning of time. He gives strength for our weakness and peace for our anxieties. We must strive to be calm so that we can make the right and best decisions for this unfortunate dilemma. Continue to trust, to hope, to believe and the Lord will sustain you as well as keep your family in His loving hands. Because of the public tragedies that have happened in our society due to mentally ill people, there is much ignorance about the range and severity of this sickness. We must pray for wisdom, seek out consultation, and do our research on mental illness that is affecting our loved one. While there is not always an immediate medical cure for every mental health problem, there’s a wide variety of options for us to consider in our communities. If we turn to God first and seek His wisdom on the best steps to take, we will make progress in our desire to help our loved one in the grace of God. When dealing with a mentally ill loved one, we will find all sorts of advice coming from many directions. Most of our family members and friends are well-meaning in their attempt to offer suggestions. We must keep open to the fact that God often uses other people to speak to us; however, we also must be obedient to the leading of the Holy Spirit foremost. There may come a time when we have to make exceptionally, heart-wrenching decisions concerning our mentally ill loved one—in those times we must keep our hearts and minds open to obey wherever the Lord leads us. For most of society if we run a fever, there’s medicine that can take it down for a period of time. We have medications that help with our allergies, high blood pressure, or soreness of muscles. Yet with mental illness, there can be an extended period of time before we see results or even not see much healing at all. This can cause us to become exasperated and angry at God for not answering our prayers even as we plead with Him daily. In those difficult times, we may need to step away for a time to be alone with God and learn the discipline of waiting/trusting/resting in His goodness. He will use our patience to mature us into a strong spiritual relationship with Jesus Christ in the midst of this trial. “Remind the people to be subject to rulers and authorities, to be obedient, to be ready to do whatever is good, to slander no one, to be peaceable and considerate, and always to be gentle toward everyone” (Titus 3:1-2). After the initial shock of recognizing the mental health issue, there will come a time of necessary action. Many of us struggle at this point and are tempted to enter into a state of passivity. While there is certainly a time of waiting on God—it is only preparing us for the next steps. Mental illness in a loved one cannot be ignored any more than ignoring a stroke, cancer, or a heart attack. We must seek help for ourselves and for them. The Lord is faithful to lead us in the right direction if we are willing to step out in faith and move forward. Who’s the Mentally Ill Person? In this time of confusion and unrest, you may begin to feel like you are the one with the mental illness issue. You may also feel very alone because the impact of a mentally ill family member can bring self-imposed isolation as well. However the body of Christ is called to uphold you in prayer, service, and essentials for survival, but you must speak up. The most important value of being a believer is that you’re never alone for God promised to be with you from the beginning to the end of this journey. You can do all things through Christ even when coping with a mental ill loved one. Continue to trust, to hope, to believe and the Lord will sustain you as well as keep your family in His loving hands.